Melissa knew that she was destined for success in a STEM field when, at seven years old, she beat her Kumon math teacher in a times-table speed test. Ten years later, her aspirations have grown exponentially. 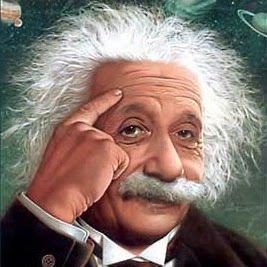 Melissa is obsessed with Albert Einstein, and asks for the dead mathematician’s advice in times of need. She is comforted to know that loving math does not automatically doom her to a life of unpopularity, given Einstein’s status as a pop icon. Knowing that mathematicians often achieve their best work early, however, Melissa is already worried that she’s aging out of her profession, and moisturizes and hydrates eight times a day to keep her cells young. Her most striking feature is her wild mane of unruly, curly hair that she has difficulty taming. Her biggest fears are public speaking, dying without accomplishing anything, and sharks. The Waukesha Math Team Captain is desperately looking forward to college, convinced that it will be a mecca of intellectualism where she will finally be understood. Melissa’s best friends are her parents, who are both accountants. Her favorite movie is “Good Will Hunting,” which she has seen 112 times. She has been told that she speaks with a Matt Damon-esque Boston accent in her sleep, and considers it a high compliment. She has only recently gotten over her fear of actually speaking to fellow team member and former popular girl Amber White. 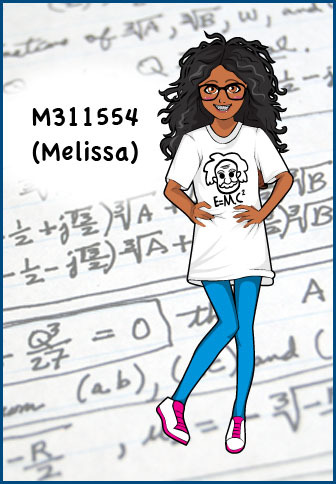 As she waits for college and her inevitable mathematical popularity, Melissa reminds herself that she can never be truly lonely if numbers are her friends—after all, there are an infinite number of them.